How many iPads are going to be sold? They are the new buzz item of the year, and Apple’s new cache cow. The iPhone has already sold over 40 million. 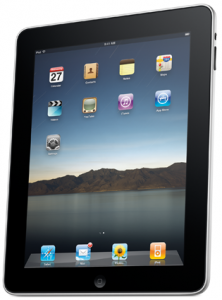 Many people say the iPad is a scaled up version of the iPhone, and in fact it is very similar. Apps that work on the iPhone should work on the iPad as well. The iPad also has no multitasking capabilities like the iPhone. So whats the magic number? Well Chitika is saying somewhere around 1,000,000 (1 Million) iPads have been sold as of the time this article was posted. You can see their real time clock here. What do you think about the iPad? We would like to hear your comments.